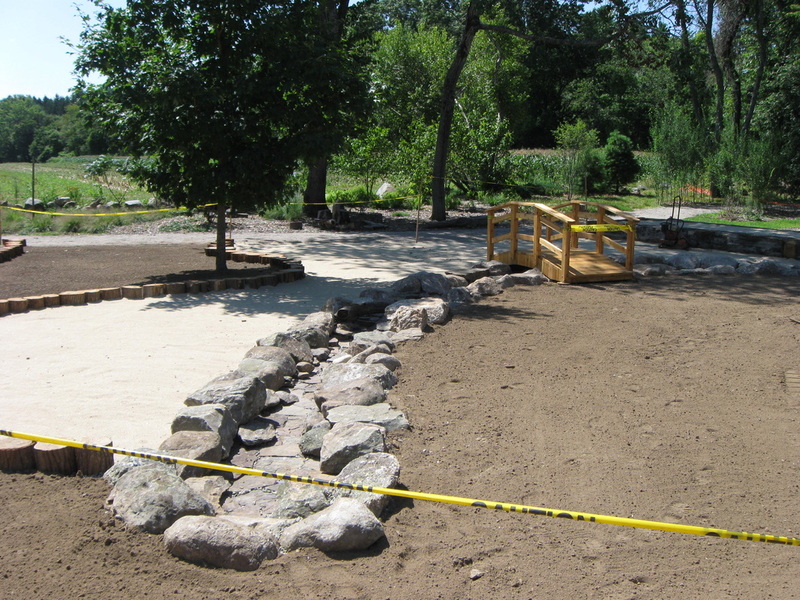 Work on Phase Two is almost done, including completion of the universally-accessible loop path and installation of a guide rope for the visually-impaired, construction of two landforms and an embedded slide, and installation of a sand/water play area, including an accessible "sand ship," and benches! 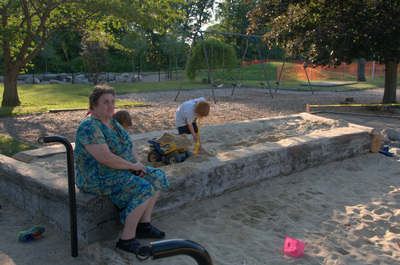 Photos courtesy of Friends of the Playscape committee chair Edith Hetling and project architect Jennifer Brooke. 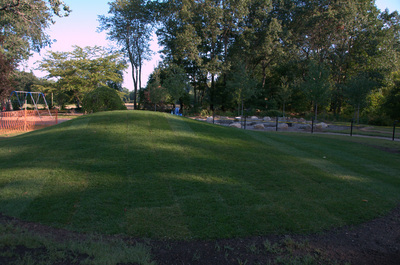 Top row: the accessible "sand ship;" built-in seating on one of the new landforms; the embedded slide built into one of the landforms. 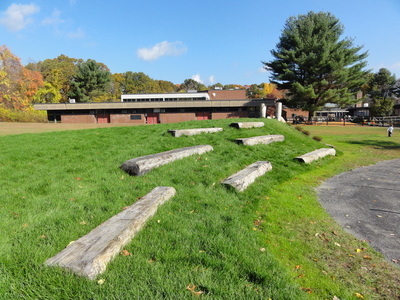 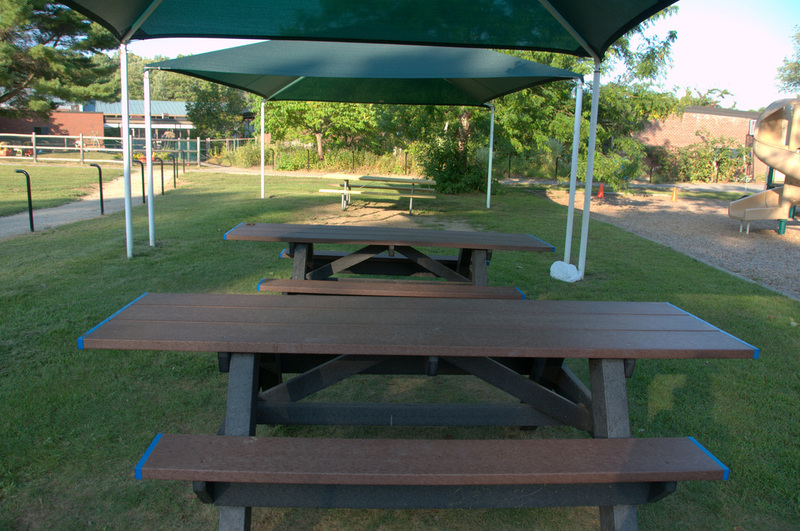 Bottom row: the accessible picnic tables with ends wide enough to accommodate a wheelchair; the dry streambed and bridge; the second of the new landforms. 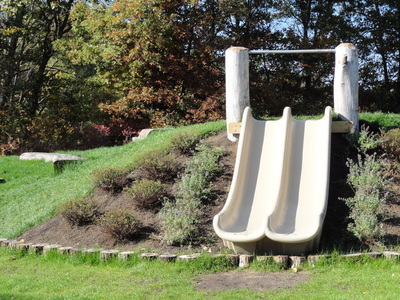 On September 25, the Friends of the Playscape at Ripley held a focus group for interested area seniors on how to make the Playscape accessible and known to senior visitors. 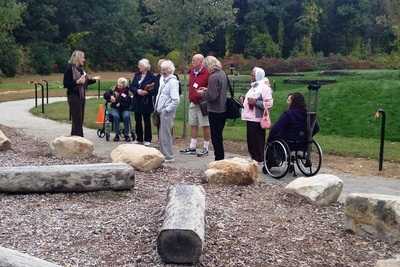 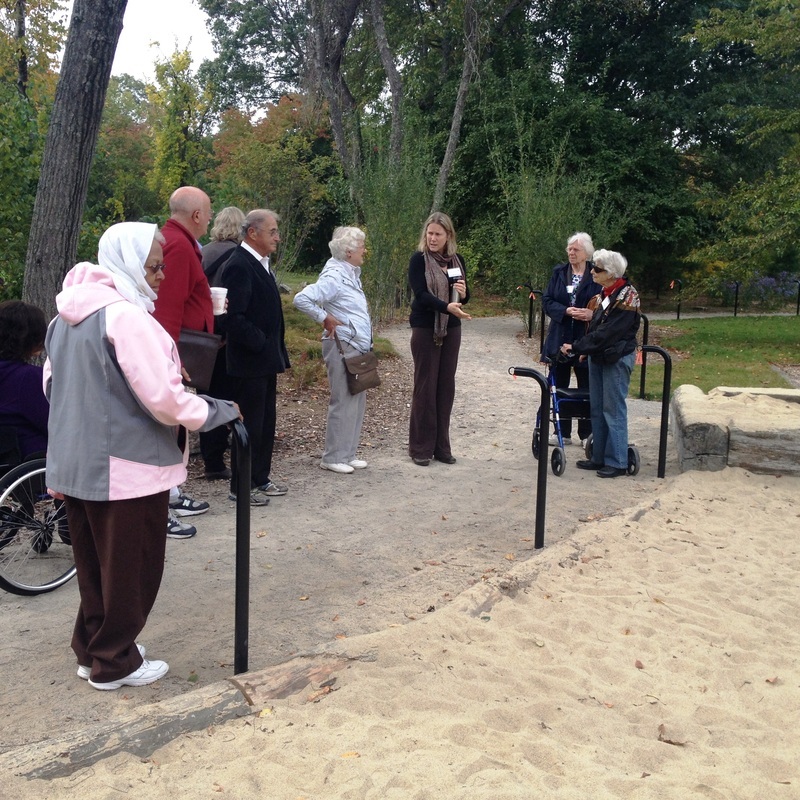 Six area seniors participated -- they received a tour of the Playscape from project architect Jennifer Brooke and then took part in a 90-minute discussion covering topics such as Playscape accessibility, outreach, programming and safety. 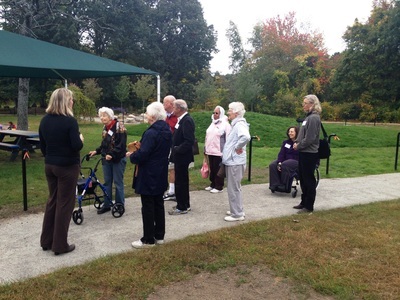 Our thanks to everyone who helped make this event possible, especially Minuteman Senior Services and Musketaquid Arts & Environment!